Swiss-based Trendcommerce (Schweiz) AG has always been a trendsetter in Switzerland. The company has secured its market-leading position through the acquisition of production inkjet presses. This has enabled a white-paper-in workflow, virtual elimination of offset printing, reduction in black & white toner-based volumes and a revenue growth of 50% since 2011. Read more in this HP-sponsored story. This article is sponsored by HP as part of an ongoing series on HP Production Inkjet solutions. 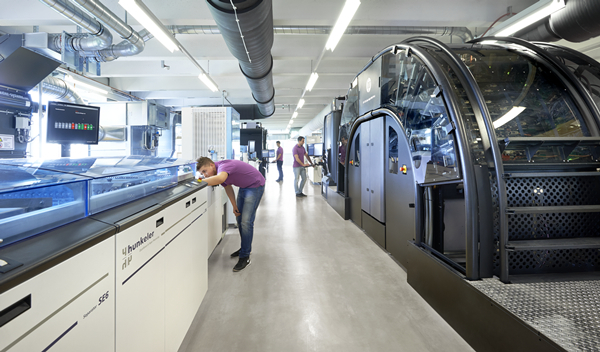 Swiss-based Trendcommerce AG prides itself on being an innovator, bringing many firsts to the Swiss printing marketplace. In 2012, the company recognized the impact production inkjet printing would have on the direct mail and transaction marketplace. A team headed to drupa 2012 to learn more about how this technology might benefit the company and its customers. Founded in 1996, Trendcommerce generates around CHF30 million in annual turnover, up from CHF20 million in 2011. “This growth is almost all directly attributable to our acquisition of production inkjet printing technology,” said Steven Stüdli, Director of Sales and Marketing for the company. Trendcommerce saw the future coming its way, and that future was inkjet, according to Stüdli. The visit to drupa 2012 and some big new customers reinforced that vision, and the company acquired two HP T230 Color Inkjet Presses to start the process of revolutionizing its business.